Joe Blogs: What more can I say?!?! 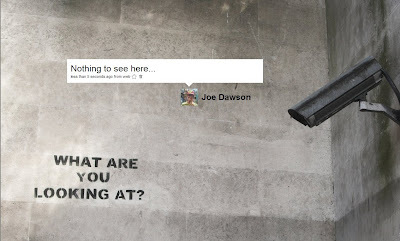 I think that I have nailed it with my current Twitter background as why do people read what we write!! The artwork is by Banksy, the guy is amazing if only I knew who he was as I am looking to start decorating! !